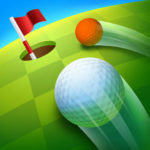 Microgolf Masters is a new sports game from TripleFun, which you can download for your Android or iOS device. It promises to be the “most fun and tactical multiplayer minigolf game in the world,” so with that in mind, we guess you can call it a MMM, if we are to invent a term – massively multiplayer minigolf. 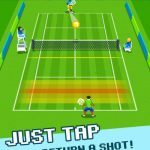 The game comes with 500 courses, and while it is mainly designed to be played against other human players from around the world, or better yet, against your own friends in tournaments with up to eight players, you can also play it on your own in the solo challenges. And no, this is not one of those mobile sports games that uses the words “real players” as a marketing ploy in the game description. How can you defeat more players, and how can you master more courses? And how can you win more free goodies in this game? 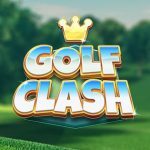 While this guide is mainly designed for first-time players, we hope to answer those questions with the following list of Microgolf Masters tips and tricks. The first thing you want to do at the start of each hole is to shoot the golf ball as far as possible; it’s important that you do not get beaten out by another player. And while doing that, start thinking about your subsequent shots; when taking a shot, the next one should always be in mind. Always look at the arrows on the ground, and remember that the grass is, and should be your friend; the grass where the arrows are located would move the ball right in the direction where the arrows are pointing. Normally, one would think about grass when it comes to golf courses. But there is water in these real-life courses, and in Microgolf Masters, there is also ice. Be wary of the water, the ice, and other unusual surfaces; if the ball hits the water, you’ll be back to square one, at least as far as your current shot is concerned. And when dealing with ice, it pays to shoot with less effort. Shooting on ice allows the ball to travel about twice as far as it would if you shot it on grass with the same amount of effort. In the real world, a new golf ball won’t have any effect at all on your game. But in the world of Microgolf Masters, a new ball would mean more strength and a better aim. The impact wouldn’t be that evident, but at least your stats will improve if you buy one of those balls with you coins. You’ve also got balls of higher rarity – Premium, Rare, Legendary, and Extreme. These non-common balls cost gems, but will give you a more noticeable improvement to your stats. Microgolf Masters is designed to be a social game which you can play with, or against your friends. So what are you waiting for? 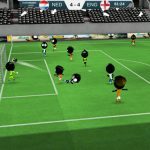 It is highly advisable that you connect your game to Facebook, which would allow you and your friends to trade gifts with each other. And if you don’t know anyone on your friends list who is interested in the game, you always have the option to create a dummy account, and add friends based on the people who submit their reviews on the Google Play Store or Apple App Store. 5. What Happens When You Beat Numbered Rounds? Beating a numbered round has some additional perks. If you beat one of these rounds, you’ll get a set of cards, and once you’ve collected enough cards, you can use them on the upgrade screen. Once there, you can choose the stats which you want to upgrade. Just be patient; the more numbered rounds you beat, the more cards you can earn, and if you really cannot wait, you can always use your gems (the game’s premium currency) to buy more cards. Finding the game’s matchmaking system a bit too tough for your liking? You can always go down to a lower level, and challenge less experienced players whose stats and skill may not be as good as yours. And if you want to stay in the same tier, you can always take advantage of solo mode, which is best used as a way to practice specific rounds. That’s it for now, as far as our Microgolf Masters tips and tricks are concerned. If you happen to know more hints for the game, be sure to let us know! This is the most frustrating game and money hog you can have. ALWAYS losing connection and whe it comes back it will make a winner on its own without even making a shot. If you like a good game, which it is and don’t mind being frustrated all the time, and play players that have probably $200 invested to make their ball go farther, then this is for you. If they don’t do some quick fixes they will have lost most of the more intelligent players to a better game. my strength is 86 and my accuracy is 82 and i have not spent a dime. play lots and collect as many cards and free gems as possible. coins don’t seem important at first, but saving them up is essential to the power up process. with my best ball equipped my strength is 94 and my accuracy is 88. this game can be frustrating as it is possible to screw over other players, thus being able to get screwed over. however, hang in there because this is one of the best mini golf games i’ve played to date. All balls can be won by cards other than the master one. I have a half dozen balls that would cost 5 times the largest diamond total I have had. Didn’t get enough cards to get them until level 8 or so. People are winning these balls by collecting cards. Diamonds only become usefull when it comes to entering a masters tournament or finishing the long process of fixing better balls. I have am in league one with 99 strength and an 84 accuracy and have not spent more than $10 in the game. Most of which went towards fixing my best ball which takes 7 days to repair.